More than one dozen mid-sized craft and partner companies in Europe and North America are currently collaborating within the OPTIWIN network. We wish to expand the network and are inviting additional companies to become part of the OPTIWIN family. The smallest company with three employees and conventional machinery will benefit equally from the network as a 30-man operation with CNC equipment. The approach to craftsmanship and quality is more important than the size of the company. At OPTIWIN, all member companies benefit from merging many strengths and skills into one network. Each member can contribute and work in a way that makes sense for them. In other words: actively co-determine the objectives of the network, develop new solutions, or simply sell the high-quality products. Together we benefit from continuous transfer of technology, systematic observation of the market, and respectful collaboration. Consultation during detailed planning, calculations of surface temperatures, PSI values, condensation zones, etc. Technologically cutting-edge, durable windows exhibit U values of up to 0.62 W/m2K. Then there is the slender appearance desired by architects and builders. Each partner in the network distributes jointly developed products in its region exclusively. All OPTIWIN marketing and PR efforts cover multiple regions and all inquiries from your region are forwarded to you directly. The association stands for a strong brand: Craftsmanship, technical quality, clear optics, individualised consultation, and good service – you can benefit directly from this positive image. 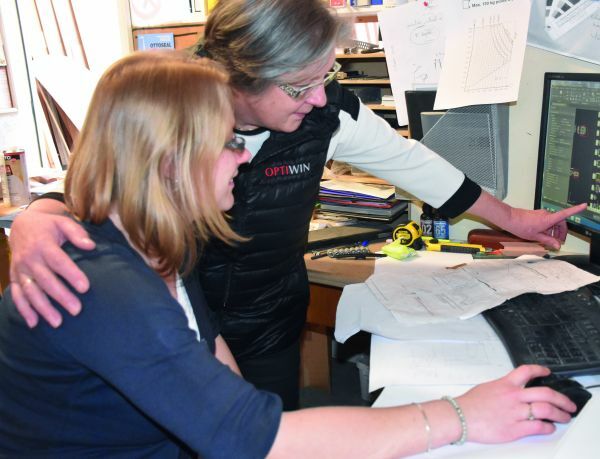 OPTIWIN's multi-regional marketing targets architects and builders and keeps their attention. At the same time you can associate your own image and logo with all marketing and PR materials. Each company contributes what it can do the best: extensive experience with renovations, a special type of production know-how, or a deep understanding of window design on the coasts, i.e. in humid, salty environments. This diversity is reflected in the joint product development. In a professionally structured process, a strong result is achieved that would be virtually impossible for each individual company.